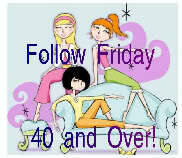 I'm linking to Java's Follow Friday 40 and Over at Never Growing Old! You simply must go visit Java if you haven't already. She's just as sweet as the day is long! AND there's an award for everyone who stops by while this post is up! Scroll on down to see it! My niece in NH put some pictures of their snow up for me because she knows how much I love it but never get any. I love seeing all the pictures of all y'alls snow too! It looks so pretty! Of course, if I lived up north or in the midwest, I'm sure I'd be saying something completely different! It's just that our summers are BRUTAL! The warm weather around here lasts only about a week or two, cold weather, if I'm lucky, a couple of months. The rest of the time? HOTTER THAN HELL! And HUMID. Combine those two lovely features and you get misery. I spent Tuesday and Thursday tutoring some cute little first graders. If your ego ever needs a boost, just volunteer at an elementary school. Goodness, those little darlings will make you feel so special. Looks like I might be going back in as an interventionist IF the funding plays nice. We should know soon. I don't know about every state (or country for that matter) but it seems like the first things that get cut are all related to our children. Our new governor is going to hit the special needs kids. Hard. Hope everyone's so glad they put her in there (that was sarcasm, just so you know). DoodleBug took some time to come over the bridge and visit. She's finally taking her first education class and LOVES it! It's making her even more excited about majoring in education and I love seeing that youthful enthusiasm on her face, in her tone and in her actions. She becomes so excited just telling me about this first class. Takes me back to the first time I got to take a class related only to my major. It was SWEET! Of course, we are education crazy around here. My MIL was an English teacher; my mother a School Psychologist; my aunt a college professor...we have been known to recognize the value of a good education. And, if we can't, there are plenty of folks to point it out to us. LOL That's DoodleBug on the right. She's dressed in her footed, sock monkey, Christmas jammies. Yep, she's gonna make a great kindergarten teacher! Had a reconnect with another friend from college. My neighbor across the street had run into my friend from back in the day. 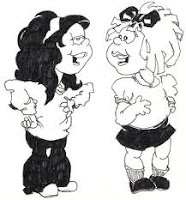 They started talking and, the next thing you know, they discover they both know me! So, Friend-from-collegeS and I were able to get in a brief catch up this week and made plans to get together when she returns from a cruise! Yay for chance encounters of the chatty kind! Julie, at The Going to be New Me asked me if I had tried the cycling on Wii Fit yet. I told her I had not but that I would. And I did. And, before all was said and done, I had pedaled 2.7 miles on that darn thing because I can't follow the little map thingy that tells you where the #@$% flags are that you have to pass by in order to get the darn thing to stop. 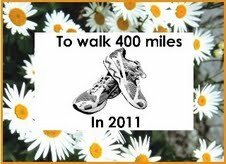 Julie has also started a linky where you can sign up to walk 400 miles in 2011. So Thursday, I take Tucker on our daily walk and, before the end of the second mile, I'm ready to curse someone out. WTH is wrong with me? Then, it hit me. My legs were sore and tired from all that 'pedaling' on the Wii Fit. I'm starting to not like Julie so much. LOL (I'm kidding, of course! Julie, I still LOVE YOU!). Any hooo--get yourselves over to Julie's and WALK IT OFF! Helen at A Crafty kind of Truffle has bestowed the Versitile Blogger Award on me! Go visit Helen and share some love with her--you'll find interesting reading and some craft ideas that will inspire you to get all those pictures out and scrapbook them! You know the drill over here. When an award is bestowed upon me, it is bestowed upon YOU! If you are visiting here today, I am bestowing this award on you! I just can't pick and choose! I'm one of those crazy people who truly read and enjoy the blogs I follow! If you already have this award and would rather, just pass it on to someone you'd like to see have it. There's no need to be shy here- it's YOURS! The actual rules are that you pass it on to 15 recent bloggers you have discovered; thank the blogger who gave you the award; link to that blogger in your post; list 7 things about yourself. 1. Ms Clairol is one of my best friends--Pecan, #18. And I have no intention of ceasing the relationship. EVER. 2. I am have just begun reading SHMIRSHKY by E. You should check it out. But be warned, you might hurt yourself from all the laughter. 3. I analyze things way too much. 4. When I was a little girl, I wanted to be a professional football (that's American football) player when I grew up. A linebacker. For the Dallas Cowboys. 5. I really hate it when something breaks down...because I really hate being inconvenienced. 6. When my brothers and I were in high school, Mother went back to finish her degree. When I graduated with my MS, she graduated with her MA. 7. I still volunteer at the elementary school our girls attended. Which just happens to be the same elementary school Hubs attended back in the way-day. Patrice at Everyday Ruralty started a new Wednesday meme and I TOTALLY FORGOT ABOUT IT ON WEDNESDAY! 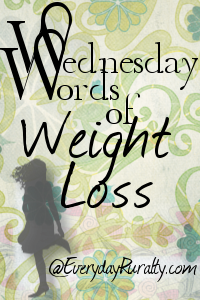 It's called Wednesday Words of Weight Loss. Give Patrice a visit--always worth the time--and join her new meme every Wednesday. I'm going to cheat this week and add my answers to the WWWL questions here, today. And, memory serving correctly, I will do it right next week. Sorry Patrice! 1. Are you trying to lose weight, stay the same, or just eat healthier? Apparently, I'm trying to gain weight. Although what I need to do is LOSE weight. I had lost 83 pounds but have worked very hard for quite a while now to gain some of that back--17 pounds of it to be exact. Why? Did I lose too much? Uh, no. I wasn't even close to being finished with the loss, I just fell back into bad habits. I think I put only 17 back on because of walking the dog 3 miles every day. If I hadn't been doing that---YIKES! (A post about the original weight loss attempt is here if you want to read about it). 2. Did you gain weight from Thanksgiving and/or Christmas? Probably, but who knows? I've been putting on for so long, I think it's safe to assume that every day, not just holidays, are included in the shrinkage of my clothes. 3. What is more tempting to you sweet or salty snacks? SWEEET, SWEEET, SWEET, SWEET!!!! Candy, cakes, pies, cookies, chocolate...ANYTHING SWEET! I love me some sugar and I'm not talking about kissing (although that's nice too...LOL). 4. What are you doing for exercise? I am still walking Tucker every day--mostly we walk 3 miles but sometimes only 2. And that blasted Wii Fit. 5. Please tell me something you can do this week to be nice to yourself. Spend more time walking some trails looking for birds. I love taking pictures of bird! Great way to spend the day! All in all it was a very nice week. Low key and uneventful which I really like. And so, here's to your weekend and the week to follow. May they be even better than what you want them to be! Great post. Very fun. When my granddaughter Kali was born I nicknamed her Doodlebug! I even made up a song for it. She told me the other day that she (9) still remembers it. How sweet was that! Awww...how sweet! I'll have to share that with my DoodleBug! I always tell Hubby, I do not know what happens to my clothes. I hang them in the closet, turn off the light, shut the door and the next time I get something out to wear..it is too small! Do you think a dark closet shrinks clothes? Love this blog too. I know you have humidity back east, but I think I could put up with that, if I got to be close to the beach. Not much humidity here, even close to the coast, but the real estate there in untouchable. Glad to hear you're involved in education too. Being a teacher,I think education is one of the most important things, too bad our politicians don't see it that way. No matter what, losing 83 lbs. is a great achievement, and if you did it once, you can do it again.I'm a sweet addict too, can't live without chocolate! 1) The more you talk about your Wii, the more I want one of my very own. 2) On my HERE'S TO YOU THURSDAY post today, the post for everyone is something that I think you will appreciate. So, I hope that you take a quick jog over and have a look. It is snow-related and very funny. Birdwatching - yeah for that :)! Really enjoyed that post. I opened my Wii Fit (Christmas pressie) this week, and I'm really enjoying using it, apart from when it told me that my age was 75!!!! LOL!!! I agree about the young children. I used to help out at the local primary school and also ran a Brownie group, and they do make you feel very special indeed. Have a lovely weekend! Thank you for stopping by my blog via Java's hop. I love your blog and especially the one with all the beautiful bird pictures. I'm following you back. Cycling on the Wii? I don't have Wii Fit but am now more interested than ever. Does it take a cycle of any sort? Not sure how you'd do the "pedaling" but I'm going to check it out. Thanks! I enjoyed reading your post. 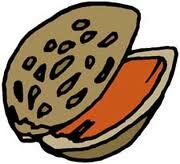 I am a former high school teacher with an empty nest and loving it. We have three boys (excuse me, men--they are 37,38 and 39! ), and none of them went into education, although the oldest one coaches basketball and soccer for the rec department in his town. Not a left for me to add to the lovely comments above except I too really enjoyed this post. I see you've been up to all sorts of things which makes me feel quite lazy this week. Hope your weekend is full of fun. What a great post! I enjoy reading your blog very much. I feel very lazy today, I think it is because I still can't walk very well from my vacation trama. Keep up the good work, It is nice following someone I have something in common with...age for one! Alessandra- good point- and maybe I'll enjoy losing it this time with the Wii. Nicole, I know there are places hotter than here, but you won't see me visiting them! LOL I always say no to any trip where the temps go higher than ours! This-- my age was 58 (not bad since I'm 53) BUT my BMI was obese...Ugh. Hope, thank you! And you are welcome! Robin, I just saw it! I left you a comment. BTW, I called my mother and my aunt, put them on speaker and had them listen to the Atlanta weather report--they hooted so much I thought they pulled something! Eva, Kudos to coach son! Good coaches are so important to kids! Tote- Thank you so much! It is better when we can share with those we understand! Glad your enjoying the children. How nice to connect with a college friend. Congratulations on the award and best of luck with your exercise. Have a nice weekend. Congrats to your award and thanks for passing it on. Girl, I just had Jim look at me, I was laughing at your post. Don't you just love the bike riding. It is hard and I took couldn't figure out why my legs hurt, that was until I remembered. I love your answers. I love getting to know you a bit more each week. How many walking miles this week? Me 10. I have about 5 more in cross county skiing and 5 on the bike but will only count the walking. Take care and have a blessed weekend. Julie, I'm at 15 miles so far this week--I SHOULD be at 18, but I'm not. You gonna love that book.I was sent an early copy to do a review. Parts of it made me laugh out loud. 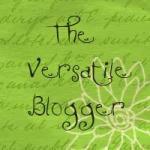 Hi I am a new follower through the over 40 blog hop. Could you kindly follow back please. Thanks for the visit, comment and follow Denise! I'm following you too!